I’ve been plagued by a bunch of persistent spammers recently. They have been busy this morning as I found I’ve had another ‘attack’. One way to recognise spam, as well as the fact that there are a lot of comments from the same person, is that they don’t say anything. One liners with no punctuation or grammar is a sure indication. Actually there isn’t much you can do to stop these persistent spammers, but you can make your life a little easier when you have to deal with them. 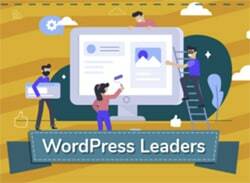 You will need to sign up for a WordPress.com account too, if you haven’t already got one. But just occasionally it needs a bit of a boost. I’ve been collecting the IP addresses of these persistent spammers (they are constantly changing them, by the way, which shows they are spammers) and adding them to my blacklist area in the Discussion Settings. As you can see I have also been busy collecting persistent spammers’ IP addresses! And you can see that some of them are similar too, which is another indication of how a spammer works. Don’t forget to save the Settings page at the bottom. When you click on the ‘Check for Spam’ button, even if there isn’t an Akismet flagging note, if you’ve been diligent with blacklisting the IP addresses, all the spam should be moved to the spam collection area. You can see all the spam has been moved over and I now have 37 spam to deal with in my spam collection area. Now all your spam has been moved to the spam collection area. Go check it out by clicking on the ‘Spam’ link next to the number of spam you have. (Look at the image above and you’ll see the ‘Spam’ link in the red circle). Now you’ll need to delete all your spam. And you will probably notice it has indicated Vicky is a CSS Hack. Very reassuring to know Antispam Bee has caught her amongst the other persistent spammers. 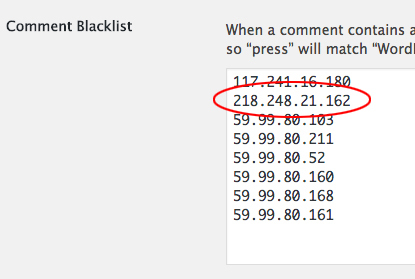 However, for good measure, I’ve added her IP address to my Comments Blacklist. Now why is it imperative you regularly delete all the spam (and not let it build up)? When spam is deleted, Akismet adds its details to their database of persistent spammers. This makes them extra vigilant against those details and they try and prevent that spammer from attacking other blogs. 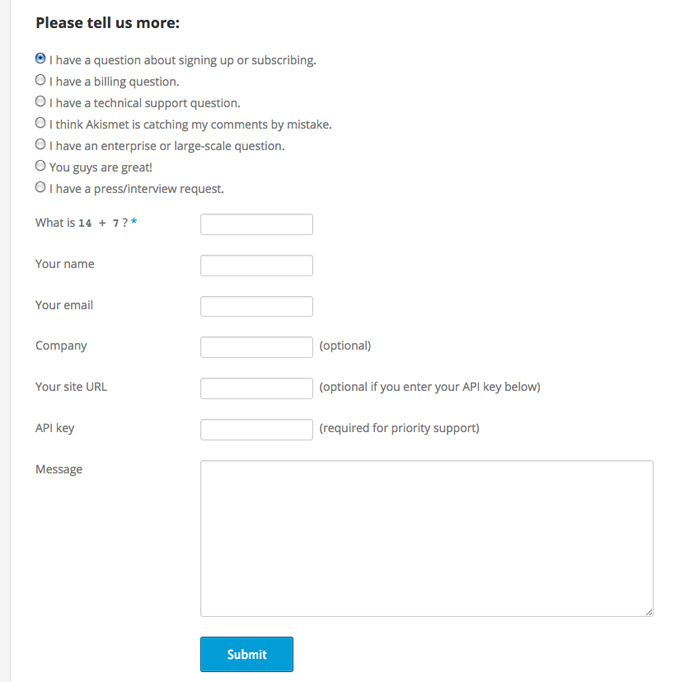 Since you’re using their plugin, there is no reason why you can’t contact Akismet to get them to help you. Underneath the massive search field there will appear a form where you can type in your questions about your persistent spammers. The ‘Happiness Engineers’ are usually very good at getting back to you with advice or solutions. The last time I contacted them, they adapted my API key to deal with the persistent spammers I was being bothered with, and told me about the ‘Check for Spam’ button. Want to know more about spam? 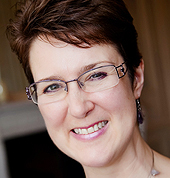 Why not check out my 90 Day Challenge to Blogging Mastery? 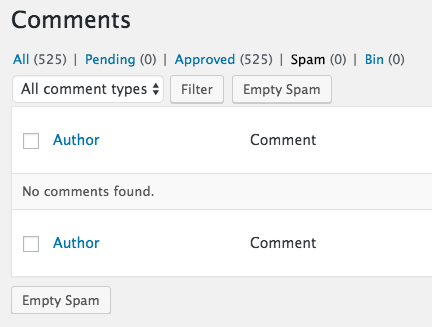 Not only is there a whole section on spam and what to do with it, but you’ll also be able to refine your blog commenting prowess at a leisurely pace with plenty of time to practice your new skills on blogs and social media worldwide! 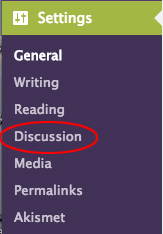 And why not use the search field in the sidebar (see top right) to search for more posts about spam. Just type in ‘spam’ or ‘spamming’ or ‘comments’ or ‘commenting’ and see what comes up! And if you have any information about persistent spammers you’d like to share, leave a comment below. 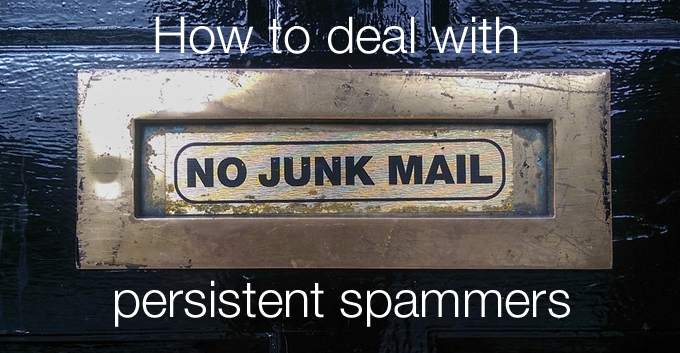 We can all help each other to make our lives easier when it comes to coping with spam. 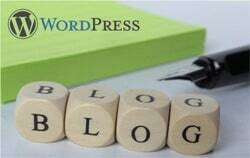 Update your blog, or pay the consequences! 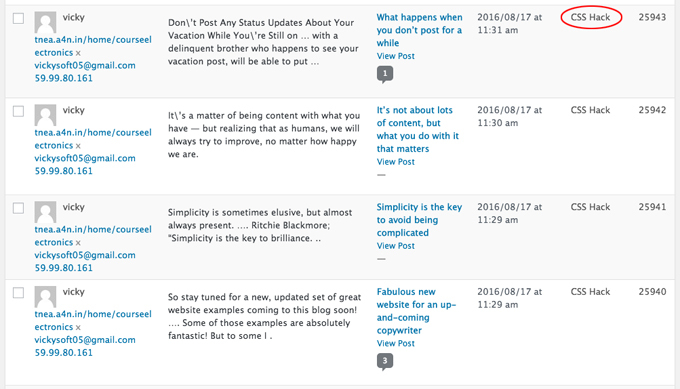 A roundup of Settings – have you optimised your blog properly yet? 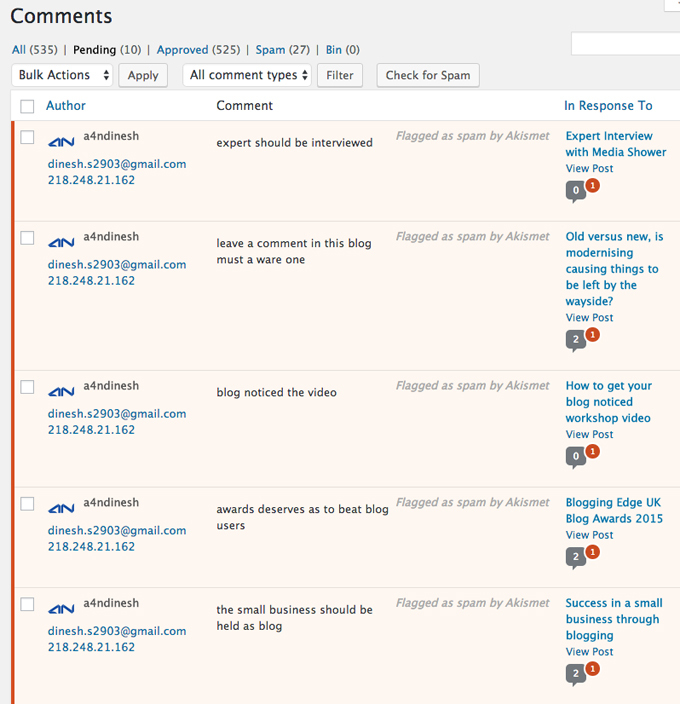 Just found this blog and having read over the topic, I really need to sort my Askismet plugin out! Many thanks Alice for the advice.